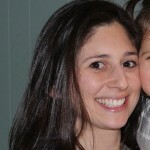 Amanda is a travel writer and family travel blogger on her site HotMamaTravel.com Amanda is taking her family around the world and sharing her hot tips with you. You can follow her family’s adventures and travel advice at and follow her on Facebook,Twitter and Instagram. 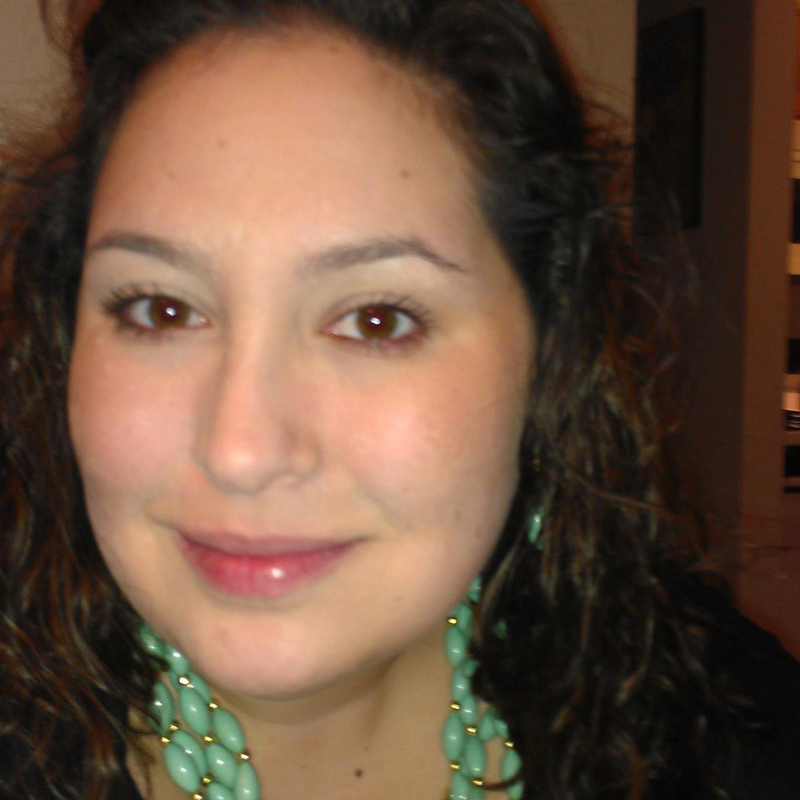 Bethany Jo is a Stay at Home Mom and Interior Designer who loves finding new activities to do and places to visit. She lives in a suburb just outside of Philadelphia with her husband, G, her spunky and talkative 5 year old daughter, M and the newest member of the clan, my 3 year old son J. The east coast is a fantastic place to live because of all the close destinations within a three hour drive! Bethany introduced G to the life of traveling and now as a family, will never stop. 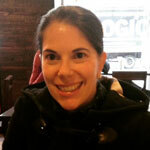 Dana Ringer is based in Chicago and works in business development for a healthcare start-up. Dana and her husband are avid travelers and are intent on sharing their love for people and new places with their son, Leo (11 months). Dana loves exploring new cities, and there is nothing she enjoys more than walking through a farmer’s market, finding a hidden family-owned restaurant and trying all the local desserts offered in a neighborhood bakery. 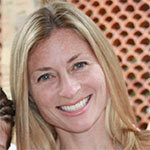 Dr. Jennifer is a wife, mother of two (Benjamin, age 6 and Anna, age 3), and an internal medicine physician. She lives in Carmel, Indiana. Jennifer enjoyed traveling the world before having children, and sees no reason to stop now. 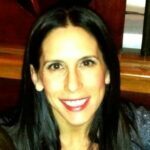 Dr. Sarah Nicoli is the founder of the Shen Tov Wellness Center in Chicago. Sarah is a board certified Chiropractic Physician and acupuncturist as well as a graduate of Advanced Clinical Training in Nutrition Response Testing. 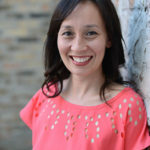 She studied “Biomedical Acupuncture for Pain Management” with acupuncture leader Dr. Yun-Tao Ma and is also one of only 10 certified Mei Zen Cosmetic Acupuncture practitioners in the state of Illinois. 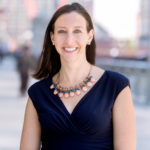 Sarah is a passionate marathon runner and enjoys practicing wellness where she currently resides in downtown Chicago with her two children, Simone and Noah. 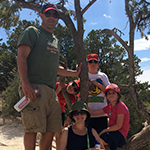 Eirene Heidelberger is a Chicago-based parent coach and a mom to three boys. 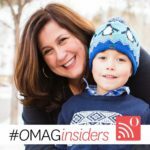 Her business, GIT Mom, is dedicated to helping parents Get It Together so they have more time for the activities they most enjoy. When Moms have the right tools to create family balance, they have the freedom to create happy mommy time for themselves. Happy confident moms raise happy confident kids! Elisabeth Ritz is founder and president of Ritz Communications, an international healthcare public relations agency. 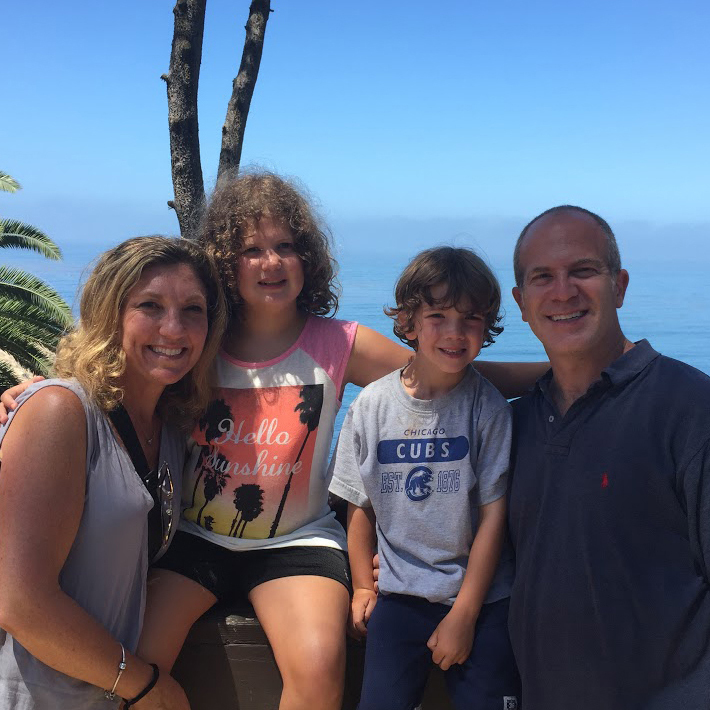 A frequent business traveler, Elisabeth is enjoying new “just for fun” destinations and kid-friendly vacation spots with her boyfriend and his three children. Emilie is a stay at home mom who moved from the Boston area to Germany last year with her husband and two children. She has taken on the role of family travel agent and tour guide as they explore Europe together. 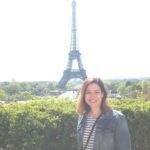 While planning is key to a great vacation, Emilie has found that some of the greatest memories are made when you stray from the itinerary – flexibility is key to traveling well with kids! 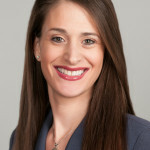 Heather Greenberg frequently travelers for both personal and business purposes. 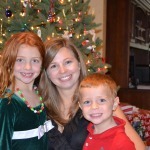 She is the mother of Payton (7 years old) and Chase (4 years old) and the wife of Adam. 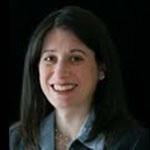 Professionally, Heather is the Market Implementation Leader at PricewaterhouseCoopers. 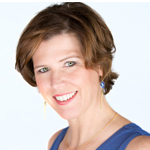 She leads a team that plans and delivers nationwide market based training. She travels often for work and enjoys luxury hotels and visiting new cities whenever possible! Heather lives in the north suburbs of Chicago. 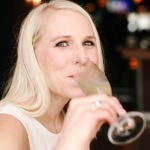 When she is not working, Heather enjoys spending time with friends catching up over a nice glass of wine. She also loves running, playing tennis and relaxing by the pool. Jamie Axe was a road warrior consultant for fifteen years before she married and had her son. As luck would have it when she decided to leave consulting, start a family and find a local job she landed a job with one of the most nostalgic toy companies in Chicago, Radio Flyer. If she is not at work she can be found with her Son and Husband at the park with an innovative active toy from Radio Flyer. Jeff Heller is an attorney at a boutique law firm in the northern suburbs of Chicago, where he lives with his wife, Julie (also an attorney), talkative six year old daughter and even more talkative three year old son. 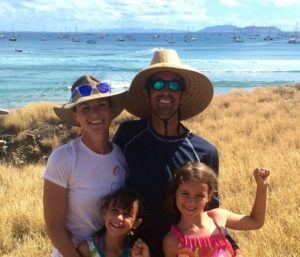 Jeff’s goal is to change his long­standing belief that traveling with the whole family is a trip, while traveling without kids is a vacation. He is on his way there, slowly but surely, through the helpful tips and reviews of other families that love to travel well together . Jessica Badgley is an entrepreneur, an Independent consultant for Rodan and Fields and a mom to two girls, ages 11 and 8. Her children were born and raised in Anchorage, Alaska before moving to the north suburbs of Chicago in 2011. She believes that the best memories are made while exploring the world and new adventures together. 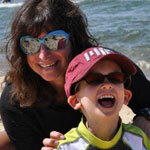 Kathy Collins is a pre-school teacher and proud mom to Henry and Ava. 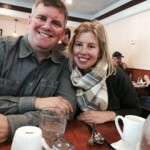 Kathy, her husband Jeff, and kids love travel, adventure, and chocolate (of course!) Together they’ve explored several countries and many of the great 50 states. Kori is a proud Wisconsinite by birth, lived happily in Washington, DC/Northern Virginia for a decade following college, moved to Hyde Park, Chicago for another decade for graduate school, and currently resides just north of Orlando in Lake Mary, Florida, with her husband, Mike, her daughter, Ellerie, and tiny white dog, Admiral Grace Hopper. In their new home, Kori and her family love to take advantage of their proximity to the theme parks and beaches, especially when friends are visiting. When not traveling, you can find Kori at http://www.miserylovescookery.com and http://www.koritelling.com. Lauren Feldman is a special education teacher on the South side of Chicago. She’s passionate about changing lives through quality education. 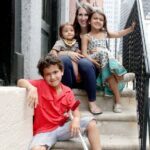 Leemor Medina is a wife, mother of two (Maya, age 5 and Gabriela, age 3), expecting her third child (in March), and works full time as a corporate lender for a Bank. As a family they truly enjoy traveling and going on vacation, whether it is to a local spot in Chicago, or across the globe. 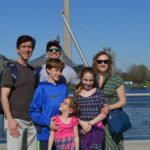 She has family in Israel, and her husband has family in Honduras, so they have been lucky to give their kids the exciting experience of traveling to other countries and experiencing other cultures. It is so fulfilling to experience new places and things together as a family, and important to build happy memories together. 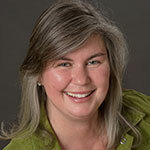 Leigh Wilson is a travel blogger and freelance writer from Chicago, who is now based in Tucson, Arizona. 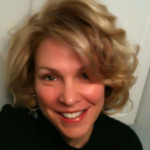 She writes about outdoor adventure, urban exploration and dog-friendly destinations at CampfiresAndConcierges.com. 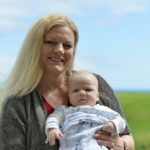 In 2014, Leigh became an aunt and now has one niece and one nephew who she hopes to help groom into well-traveled kids. Lisa is a stay at home mom in Chicago who is constantly on an adventure with her three children – Rafi, age 8, Zara, age 5 and Guy, age 2. She is a former teacher and loves taking “field trips” with her family these days. The only problem she has with traveling is that there is never enough time to see it all! 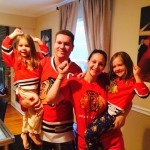 Maggie is a stay at home mom with two children in the western suburbs of Chicago. 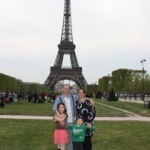 She began traveling as a college student while studying abroad in Ireland and has always dreamed of traveling with her husband and children one day. Whether it’s taking road trips or major vacations, encouraging curiosity about the world and other cultures is a top priority. Maggie believes that traveling doesn’t just mean hopping on a plane – wonderful exploration can still be found in our own backyards. Moe believes the only way to experience a new place is to get lost and find your way back! She enjoys traveling the world with her husband and 5 year old son. Moe prefers to stay in fine hotels while visiting new cities in countries around the globe. 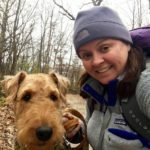 She lives in Chicagoland and loves to read, exercise, explore special events, and is open to trying any new cupcake shop in any city, state, or country! Moe spends her time with her son, volunteering in the community, and uses her extensive background in public service serving the public as a newly elected Library Board Trustee. 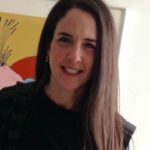 Melanie is a lawyer, freelance writer and expert on all things gluten free, who loves to travel with her husband and three girls, ages 14, 12 and 5. Her family’s favorite destinations include Puerto Vallarta, Mexico, New York City, and Southern California, although after fourteen years she has also mastered how to “survive the drive” between her home outside Chicago and family in St. Louis, Missouri and Ann Arbor, Michigan. Melanie sees travel as the perfect opportunity to get her family out of their comfort zones and onto new adventures while balancing different interests, ages and temperaments. You can read some of her other writing on business, legal, family and gluten free issues at Monster.com and Lovetoknow.com. Nadine lives in Chicago with her husband and two kids. She has always loved learning about the world through travel whether that was visiting family in Asia, backpacking through Europe, or road-tripping across the US. These days, she’s focused on exploring the world with her family and is excited for them to share in her joy, enthusiasm, and sense of adventure. Nadine’s biggest travel goal is to visit all the continents and she’s almost there! Rachel Dion is a former pharmaceutical sales manager who is now a stay at home Mom and Rodan and Fields consultant living in Charleston, SC. She has two daughters ages 7 & 5 who keep her very busy. 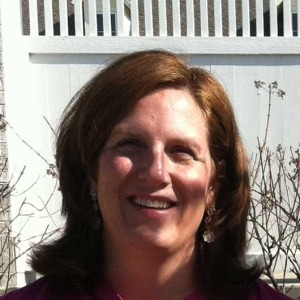 Rachel traveled extensively in former career and now enjoys frequent vacations with her family. Mexico is their favorite family destination. 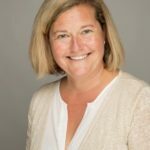 Suzanne is a Chicago-based travel writer and editor with more than 20 years spent covering destinations all over the world. 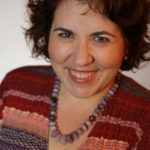 Her articles have appeared in national and international travel magazines and online and she once worked on a travel show in development for PBS. 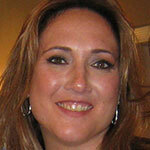 Her specialty is covering luxury travel, specifically hotels, resorts and spas. She now enjoys traveling as a single mom with her 8-year-old son and her 6-year-old daughter who are always ready to pack their bags and head off for a new adventure.